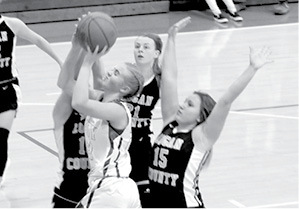 The Clinton County Lady Bulldogs took on the Logan County Lady Cougars last Saturday during the Robbie Davis Memorial Classic held at Lindle Castle Gymnasium. Clinton County struggled in the beginning of the game, but kept Logan County from scoring on the defensive end of the floor. The first quarter went by pretty fast with neither team really getting things going as Logan County led after the first quarter, 12-9. During the first part of the second quarter, Logan County put together an 8-3 run to lead, 20-12, with 5:59 on the clock. Rylee Stockton hit a three pointer to cut the lead to five points, but a field goal by Logan County put the Lady Cougars up by seven with 5:15 remaining before halftime, 22-15. Stockton and Braylee Mann hit a three pointer and field goal respectively to cut the lead to two points, 22-20. Logan County hit two from the foul line to extend the lead to four points, but another field goal by Mann put the Lady Dawgs back to within two points, 24-22. The Lady Cougars hit two free throws and a field goal to move up by six with 2:04 on the clock, but a three pointer by Alexis Roberts cut the lead to three points, 28-25. By the end of the period, Clinton County had cut the lead on a field goal by Roberts and a three pointer by Ashton Daniels. At the break, Clinton County trailed by one, 31-30. Clinton County came out of the locker room after halftime and started putting points on the board. The Lady Dawgs outscored Logan County 20-8 in the third quarter in order to take a 50-39 third quarter lead. 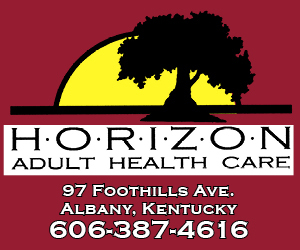 During the third quarter, Clinton County had help from everyone on the floor including eight points from Mann, five from Abbi Young, six from Stockton and one from Roberts. The Lady Dawgs coasted in the final quarter as Clinton County put up 13 points, compared to Logan County’s 10, to pick up the win, 63-49. Clinton County moves to 7-16 on the year. Clinton County traveled to Taylor County on Tuesday night, too late for press deadline, and will host Monroe County Friday night for Senior Night. 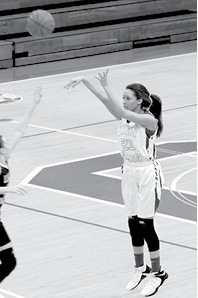 Landree Moons drove the lane for a shot against Logan County. The Lady Dawgs won the game by a final of, 63-49. Alexis Robert put up a three pointer during the first half of Saturday’s game against Logan County in the Robbie Davis Memorial Classic at Lindle Castle Gymnasium.